Early this month, we reported that two dive bars in Boston whose buildings had been sold to an investor group had closed down, and it wasn't known at the time what might be in store for either place. Now we have learned that they are reopening and that neither one will apparently have big changes made. 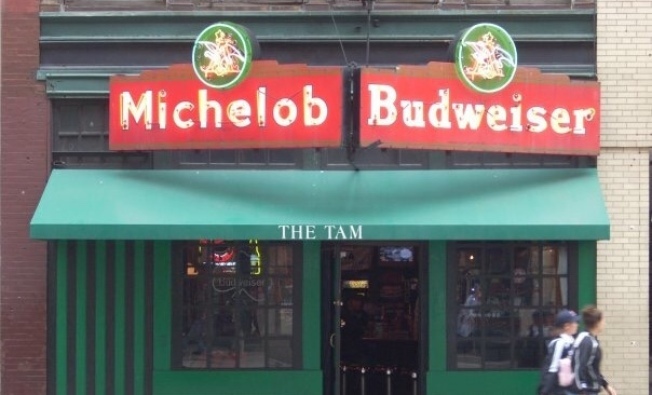 The Boston Globe is reporting that The Tam in the Theatre District and Sullivan's Tap near North Station are expected to open back up today at 5:00 PM, with spokesperson Sean Martin of the Greater Boston Bar Co. saying that "They will retain the same exact character that people have grown to love and respect." The Tam had shut down December 1, while Sullivan's Tap had closed a day or two later, and while much of the chatter surrounding the two bars centered around their reopening soon with little or no changes, it was not known for sure what might happen until this weekend. One other bar whose building had been sold to Greater Boston Bar Co.--the Beacon Hill Pub on Charles Street-- remains closed while the exact status of Mary Ann's on Beacon Street in Brighton's Cleveland Circle (whose building had also been sold) is not yet known. This week's Restaurant Roundup includes something exciting for commuters, a new place for popovers and the closing of a bento spot. The address for The Tam is 222 Tremont Street while the address for Sullivan's Tap is 168 Canal Street. Is Mary Ann's in Brighton's Cleveland Circle Being Replaced By a Dispensary?